Bethel Police Office Martin Oulton is accused of repeatedly punching his girlfriend on Wednesday night. Bethel Police Officer Martin Oulton, age 24, is accused of repeatedly punching his girlfriend on Wednesday night. He was arrested by his own department Thursday morning. According to an affidavit filed by responding officer Kadri Limani, Oulton allegedly assaulted his girlfriend when she confronted him about a series of text messages that he had received. She said that he punched her in the shoulders multiple times, and then punched her in the stomach. In his affidavit, Limani writes that he observed red markings on Oulton’s girlfriend’s shoulders but did not see any swelling or bruising on her stomach. When he asked Oulton what had happened, Oulton said that he and his girlfriend had argued, but that the fight never became physical. Both Oulton and his girlfriend appeared to have been drinking. Oulton was charged with assault in the fourth degree and arraigned on Thursday afternoon, where he pled not guilty and was released on his own recognizance. In an interview yesterday, Acting Police Chief Burke Waldron declined to comment on whether Oulton would face any disciplinary action, saying that it would be a confidential personnel matter. 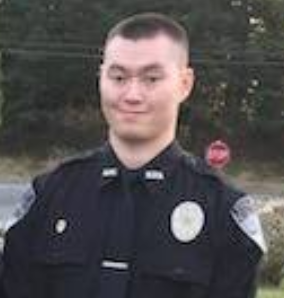 Oulton graduated from the police academy last November and has been in an officer position in Bethel since July 2017. His next hearing is scheduled for March 22.